Weddings, birthdays, celebrations… all of the above are fantastic reasons to get eyelash extensions. Whether it’s your special day, or someone else’s, you should look and feel your absolute best! Special occasions are the perfect excuse to treat yourself to treatments like eyelash extensions and getting your nails done – pamper yourself a little bit and you’ll head to your event feeling and looking lovely! 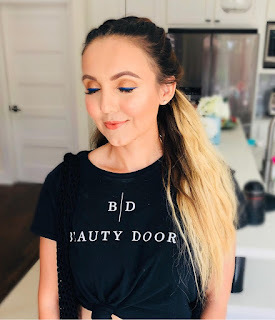 All of the eyelash technicians at Beauty Door believe that every woman should live each day feeling beautiful. 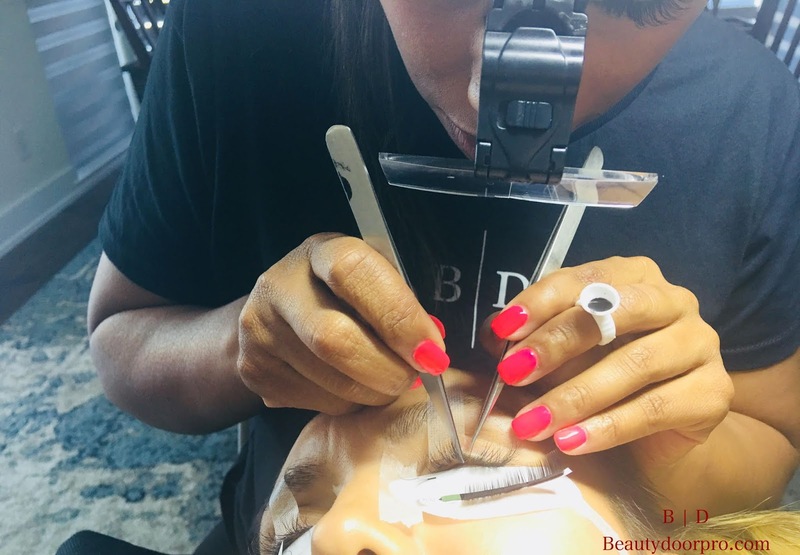 So, we firmly believe as well that women should feel free to make eyelash extensions part of their regular beautifying routine, like getting their hair done. 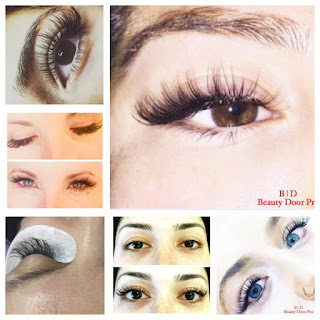 Eyelash extensions give your eyelashes length, thickness, and darkness to look naturally beautiful. Plus, you can choose from a variety of different types, thicknesses, and lengths of eyelash extensions – meaning you can customize your style for the look you love! Extensions on your lashes help to give your style a boost, make your daily makeup routine shorter, and increase your feeling of confidence. Your oh-so-lovely lashes will make you feel and look gorgeous! Who needs a reason to pamper and indulge? You don’t have to wait for your best friend’s wedding to come along, or drum up some excuse for longer, fuller lashes. Just make your appointment and get it done! Go for a natural look to enhance your already lovely looks, or do something a little more glamorous for fun. ‘Just because’ is reason enough. Anagen phase-This stage usually lasts 2 weeks and it's the growth period for each individual eyelash. Catagen phase-This is known as the transition phase, where the lash stops growing and you are ready for extensions again. 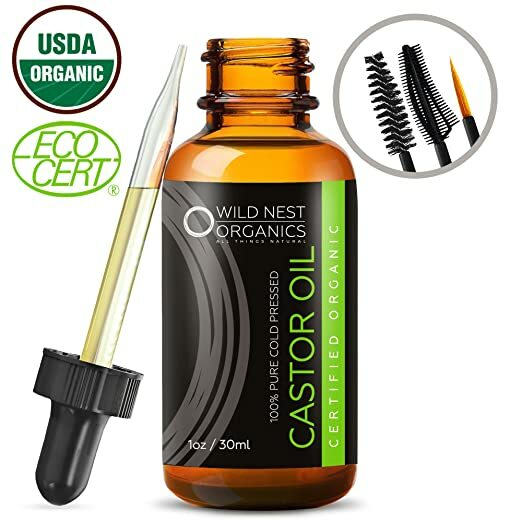 How do I take care of my eyelash extensions? The aftercare is very simple, don't fiddle with your lashes, brush them every morning and night and always when dry, never when wet. Wash your lashes to prevent build up. Do not pull or remove the extensions yourself as this can affect the natural growth of your lashes. Get fills every two to three weeks or as necessary to maintain the look. Now you can reap all the benefit of getting this beauty service in the comfort of your home.